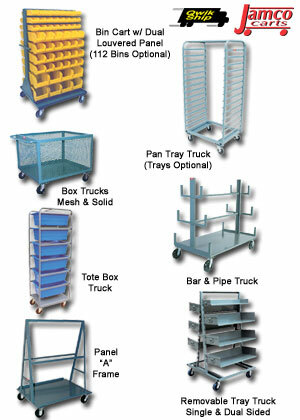 Nationwide Industrial Supply offers one of the largest selections of Bin Storage Racks, Mobile Bin Carts, and Heavy Duty and Security Bin Cabinets. Quantity Discounts available. Government and Education PO's Welcome. CALL 1-800-757-1064. These durable and compact workhorses make getting the job done simple and effective. Made of heavy 14 ga. steel for super strength. Door is mounted with a full-length piano hinge and secured with a single-point locking handle. Security locks on drawers and doors. 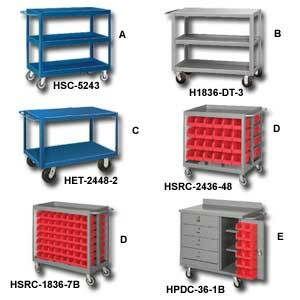 Offset brackets on door hold up to 12 parts bins for great organization. Non-slip black rubber mat mounted to top work surface and 3" high backstop keeps items safely in place during transport. 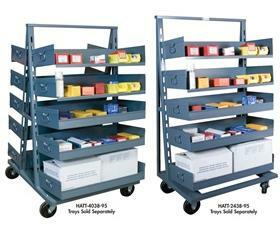 Rolls smoothly on 6" rubber casters. Ships fully assembled and ready to use. Finished in furniture grade baked-on red enamel. FOB Shipping Point. 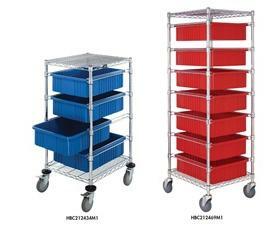 Aluminum Tub Rack transports and stores all kinds of products. Cart comes complete with tubs. Rolls on 5" rubber wheel casters. 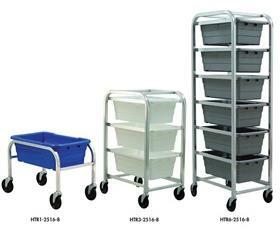 Tubs available in Gray, Blue or White. FOB Shipping Point. 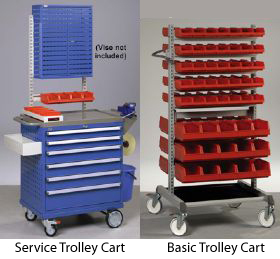 Modular in design the slide positions are adjustable on 1" centers enabling the cart to work with various bins and/or trays. 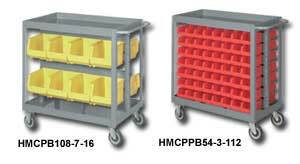 Bins available in Red, Blue and Gray. Chrome finish. FOB Shipping Point. 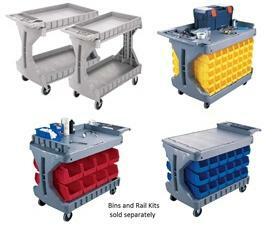 Strong 16 ga. construction top tray is 2 1/2" deep to carry packages and supplies. Built to handle 1000 lb. loads. Convenient push handle. 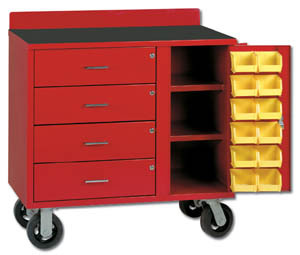 Rolls smoothly on 5" polyurethane casters, 2 swivel, 2 rigid. FOB Sipping Point. Tough enough for rugged industrial use and handsome enough for office work. Door is mounted on full-length piano hinge and secured with a 3-point locking handle. Strong heavy gauge steel construction. 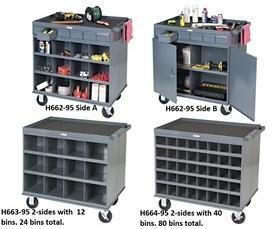 Offset brackets hold multiple sized parts bins for easy organization. 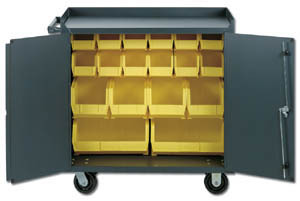 Top has 1-1/2" high lip on 3 sides to keep items safely in place during transport. Ships fully assembled and ready to use. Finished in furniture grade baked-on gray enamel. FOB Shipping Point.